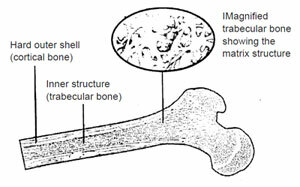 The structure of normal bone. of the thigh bone (femur). Bones change constantly. ‘Old’ bone is continually removed by the action of osteoclast cells. It is replaced by new bone – made by osteoblast cells. This turnover or renewal of bone is carefully balanced. If it weren’t, you could suffer from bone ‘fatigue’ (rather like metal fatigue in old machines). If that happens your bones would be more likely to break. Paget’s disease affects bone growth. The abnormality occurs in the bone cells. The regular, ordered process of bone loss and formation doesn’t take place properly. Instead, the bone cells increase in number, become larger and also more active. Bone turnover increases by up to 40 times, so it is to surprising that the new bone which is made is disorganised, abnormal in shape and weaker than usual. The increased activity of the bone cells also increases the blood flow through the bone. This is why you have bone affected by Paget’s which is close to the skin (the shin, for example) it can feel warm to the touch. Paget’s disease is not rare. It is most common in the United Kingdom and in countries where large number of British people have emigrated in the past. It is most likely to affect older people. About 5 out of every 100 people over 50 years of age in the UK have Paget’s disease in some part of the skeleton, although it is often unnoticed and may not cause symptoms. Paget’s disease is even more common in Lancashire where up to 8% of the over 50s have the disease. Younger or non-white people are less likely to have Paget’s, though it can occur in any race. Bone which is near to the surface can feel hot to the touch when affected by Paget’s disease. Because of the racial and geographical pattern we have just mentioned, some doctors have concluded that the disease may be inherited. It is certainly true that some families haveseveral members who are affected by Paget’s disease, this is quite rare. However, there is some evidence that Paget’s may be caused by a ‘slow virus’ infection of bone cells. It is called ‘slow’ because the virus may settle in the bone cells early in life and only cause the disease many years later. It is quite common for the disease to be discovered by accident on an x-ray which has been asked for for a quite different purpose. Similarly it may be detected after a blood test taken for another reason. This is the most common symptom and is usually felt in the bone itself. 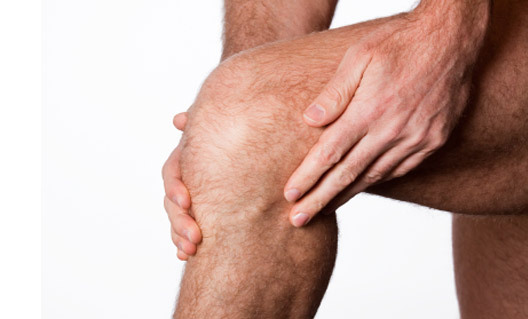 Paget’s disease can sometimes cause osteoarthritis in the joints nearby and this can also be painful. The increase blood flow through the bone which is a feature of Paget’s disease also stimulates nerve fibres in the bone which send out pain signals. Bone which is affected by Paget’s disease expands and may cause deformity due to the disorganized cell activity. 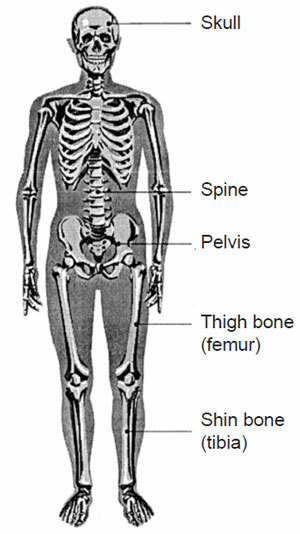 Any bone in the skeleton can be affected but the most common are pelvic bones, the spine, the thigh and shin bones, and the skull. Long bones can curve, so that some people may end up with one leg effectively shorter than the other. Although bone affected by this condition usually expands, is weaker than usual and is more likely to break than normal healthy bone. Fortunately, however, the bone heals just as well as normal bone. When Pagetic bone expands it can sometimes squeeze nearby nerves. This can happen in the skull, where it can cause deafness, or in the spine, which can lead to weakness and tingling in the legs. 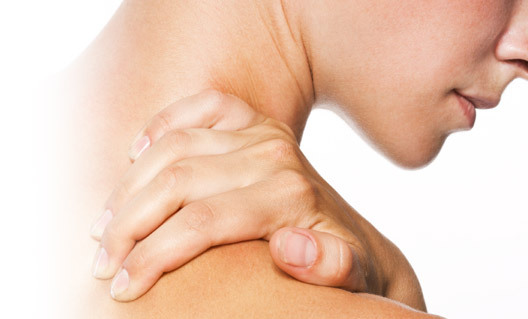 If the disease reaches to the end of the bone, it can lead to arthritis in the joint. This is the same as osteoarthritis, and it can cause pain and stiffness on the moving joint. (see A.F. article ‘Osteoarthritis’). People with Paget’s disease have an increased risk of developing gout. Gout causes pain and swelling in a joint, often the big toe joint. If this happens the usual treatments for gout are effective (see A.F. article ‘Gout’). When the Paget’s disease is very extensive the increased blood flow through the bone can put a strain on the heart. Fortunately, with the newer, more effective treatments for Paget’s this complication is rarely seen nowadays. I a very small number of people with longstanding Paget’s disease turmours may develop in the bone, which can sometimes be cancerous. The first signs of this is increased pain and swelling at the site of the tumour. Fortunately this is a very rare complication. Your doctor would have listened to your symptoms and examined you. If the bone is deformed in a way that is typical of the disease, it is an easy diagnosis. Often, however, x-rays and blood tests will be necessary to confirm it. Sometimes the doctor will recommend a isotope bone scan. This is the most effective way of pinpointing where the Pagetic bone is and how active it is. A tiny dose of radioactive isotope (a radioactive substance which can be detected by the bone scan) is injected into a vein and the whole skeleton is canned several hours later. The radioactive material quickly passes out of the body in the urine. An isotope scan is important as it will show how many bones are affected by the disease. Once the diagnoses has been made, most patients will be referred to a specialist clinic for assessment and treatment. Paracetamol and/or non-steriodal anti-inflammatory drugs (NSAIDs) may help to reduce the pain in some people although they are not always very effective. Simple measures are sometimes useful. If, for example, one leg has effectively been shortened because the thigh and shin bones have grown curved, a built-up insole in the shoe can reduce the feeling of ‘lop-sidedness’. Treatment of the causes of Paget’s disease will usually be with a group of drugs called bisphosphonates, which are very effective. They act primarily on the osteoclasts (the bone-eroding cells) to slow down the rapid bone turnover. The choice falls between pamidronate, a drug which is injected into a vein, and two oral drugs, risedronate and tiludronate. Pamidronate is given either as a series of weekly of fortnightly injections (6 in total) or, in some centres, as a single injection which may be repeated after 6 months if necessary. The advantage of the injection is that the drug is all absorbed into the body. Risedronate is a 2-month course of tablets and tiludronate is a 3-month course. Some people may prefer tablets to injections and the choice available. Further courses may be given if necessary. The pain in the bone is relieved within 3-6 months and sometimes more quickly than this. Most people have few side-effects from the drugs, although pamidronite occasionally causes flu-like symptoms lasting 1-2 days, and risedronate and tiludronate can sometimes cause indigestion. Surgery is not normally necessary, but sometimes if the bone breaks, an operation will be needed to fix it. This depends on the type and severity of the break, as with any fracture. If osteoarthritis results from the disease then a new joint may be necessary – treatment with bisphosphonates prior to the operation helps to reduce the blood loss that can occur with this operation. We do not yet have a cure for Paget’s disease. However, there are treatments which can suppress the disease, and delay or even prevent the complications, and research continues which we hope will lead to even more effective treatments.